Are you ready to have your consciousness uploaded to a robotic body and take on armies of rogue automatons? You better be because the twin-stick shooter Livelock is arriving August 2nd. 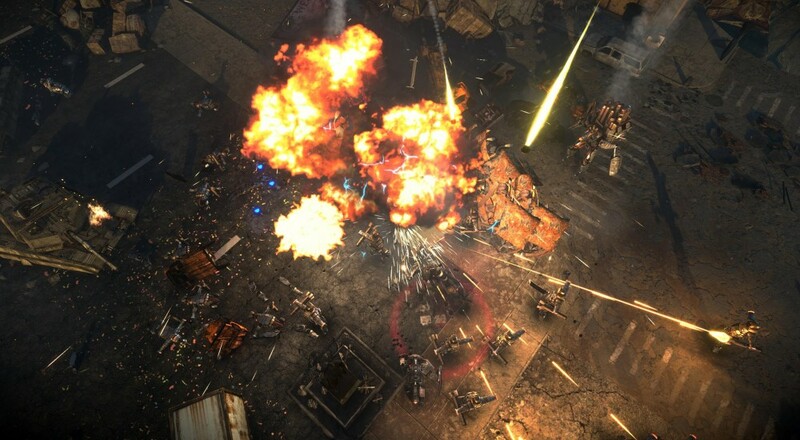 Developer Tuque Games has been focused on creating the "classic feeling of... arcades" as they've been working on Livelock. Players will be able to choose from one of three different "Capital Intellects": Hex, Vanguard, and Catalyst. Each has their own specialties, e.g., Hex is more of a DPS character while Catalyst is focused on support, and working together makes the most out of all of their abilities. Livelock will support three player co-op locally or online when it launches on August 2, 2016 on the PC, PlayStation 4, and Xbox One.